This week's challenge on I Heart Faces is Tickled Pink. I, for some reason, happen to have a lot of pink pictures. Maybe because I'm the only girl in my house, I'm drawn to pink in any other context that I can possibly find it. 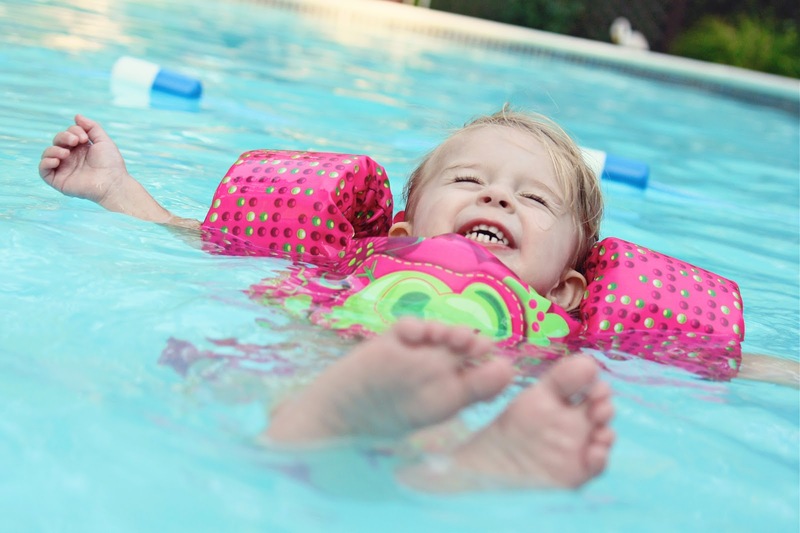 I finally settled on this picture of Anner Nanner at her birthday party this summer having a blast floating around in her pink bikini and puddle jumper swimmy-thing. How can you not smile just looking at that sweet, happy face?! fantastic!!! love how happy she looks. That is one sweet smiling face! Love the colors.